“The penal provision on defamation (section 499 and 500 of the IPC) should not be used to throttle dissent…the court must step in, if there are continuous efforts to harass persons by filing a number of defamation cases”: SC. Staying the NBW against DMDK chief and actor politician Vijaykanth and his wife Premlatha in a defamation case, the Supreme Court today remarked that defamation cases should not be used as a political counter weapon against critics of governments. “Just because anyone calls a government corrupt or lacking in administrative ability he cannot be slapped with defamation case”, a bench of Justices Dipak Misra and Rohinton Nariman said. Holding that “there has to be tolerance to criticism”, the bench said. Defamation cases cannot be used as a political counter weapon and added: “Cases for criticizing the government or bureaucrats create a chilling effect”. Significantly, the bench also sought the list of defamation cases filed by the public prosecutors in Tamil Nadu on behalf of Chief Minister Jayalalithaa against her critics in two weeks. “The penal provision on defamation (section 499 and 500 of the IPC) should not be used to throttle dissent…the court must step in, if there are continuous efforts to harass persons by filing a number of defamation cases”, the bench told the counsel for Tamil Nadu government adding there should not be abuse of defamation provisions. 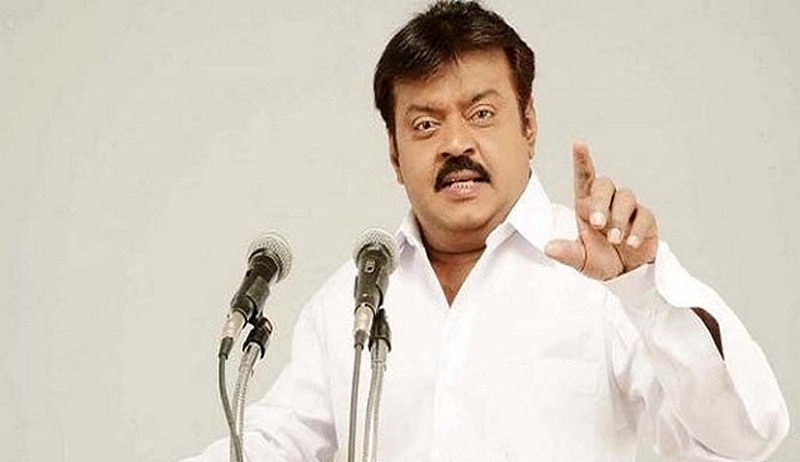 A trial court in Tirupur had yesterday issued a NBW against Vijayakanth and his wife after they failed to appear before the court with regard to the defamation case against them. Allegation was that they made false remarks against Jayalalithaa and criticised the functioning of the State government on November 6, 2015.